Labor is depicted by Saint Joseph, who is shown instructing the young Jesus as a virile adolescent. 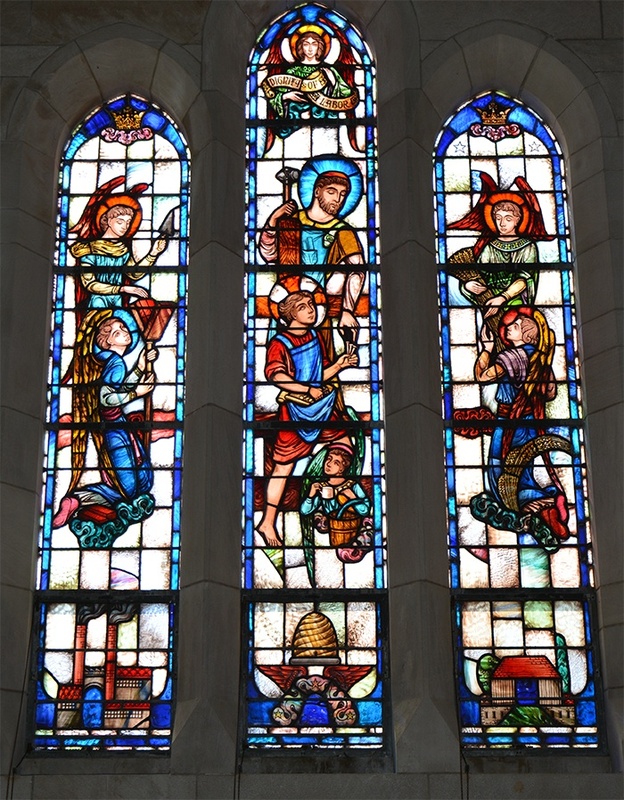 The window also depicts how the church is involved in all occupations, with angels holding the symbols of work. Likewise these angels are all helping one another, noting that no one can do something alone. In the predella there are images of a factory, beehive and farm, all symbols of industry.